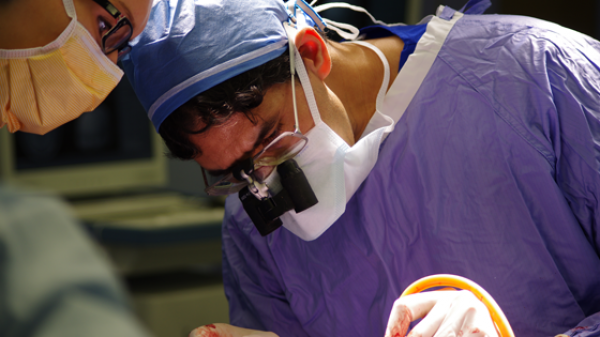 Dr. Taufik Valiante completed his residency in the Neurosurgery Training Program at the University of Toronto in 2002, and an Epilepsy Surgery Fellowship at the University of Washington, Seattle, under the mentorship of Dr. George Ojemann in 2003. In 2007 he established a state of the art five-bed Epilepsy Monitoring Unit at the Toronto Western Hospital, significantly increasing surgical services to those with medically refractory epilepsy throughout the Province of Ontario. Through his involvement with professional and not-for profit epilepsy organizations, he is a strident advocate for the standardization of epilepsy care. His CIHR-funded research focuses on in vivo and in vitro electrophysiological recordings of brain activity. His particular interest is in the association of such activity with cognitive processes, and the cellular mechanisms that underlie them. He studies the pathological disruption of such activity using optogenetics, and computational techniques. He is currently the Director of the Surgical Epilepsy Program at the Krembil Neuroscience Center, and an Affiliate Scientist at the Toronto Western Hospital Research Institute. 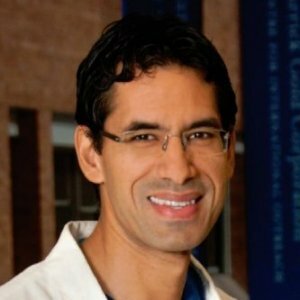 His neurosurgical staff appointment is at the Toronto Western Hospital, and he is currently Associate Professor of Neurosurgery at the Institute of Biomaterials and Biomedical Engineering at the University of Toronto. Did you know? A lot of what experts now know about the human brain is a result of studying one disease: epilepsy. That's right – as doctors looked for ways to treat this often devastating neurological illness, they gained valuable insights to how the brain works and where its different functions lie. Dr. Taufik Valiante, neurosurgeon and co-director of the epilepsy program at Toronto Western Hospital's Krembil Neuroscience Centre, discussed this interesting aspect of medical history with UHNews. As in most epilepsy cases, Carma's seizures actually began earlier than the 2009 incident, but since they were less dramatic, they were difficult to identify. At the hospital that day, doctors confirmed that the seizure she'd had, along with the other incidents she had experienced, were caused by epilepsy. Helping her to take back that control was UHN's Dr. Taufik Valiante, a neurosurgeon at Krembil Neuroscience Centre, who specializes in the surgical treatment of epilepsy. At 32 years old Whitney was forced to wear a helmet just to protect her from everyday activities. She couldn't be alone and if she was, she was confined to a wheelchair in case she had a drop seizure. Whitney has epilepsy. She's had the condition for almost half her life and over time it intensified from a benign eye twitch to frequent, sudden seizures that forced her to surrender her independence. Whitney is sharing her story for Purple Day, an international awareness day for epilepsy, on Thursday, March 24. Whitney Goulstone's epileptic seizures were once so severe, she had to wear a helmet and could not hold her children. Watch Global Toronto's series to see how surgery at UHN has changed her life. Epilepsy Conference 2014 : Emerging Treatments Changing Lives Toronto, ON. Epilepsy Care in Ontario Toronto, ON. One of the striking manifestations of neuronal population activity is that of rhythmic oscillations in the local field potential. It is thought that such oscillatory patterns, including phase-amplitude coupling (PAC) and inter-regional synchrony, may represent forms of local and long-range cortical computations, respectively. Although it has been speculated that these two oscillatory patterns are functionally related, and bind disparate cortical assemblies to one another at different timescales, there is little direct evidence to support this hypothesis. We have demonstrated recently that theta to high-gamma PAC and interlaminar phase coherence at theta frequencies can be generated in human cortical slices maintained in vitro. Here we show that not only do such oscillatory patterns exist within human temporal neocortex, but that the strength of one is related to the strength of the other. We demonstrate that at theta frequencies, metrics of temporal synchrony between superficial and deep cortical laminae (phase-dependent power correlations, and phase coherence) are correlated to the magnitude of intralaminar PAC between theta and high-gamma. Specifically, our results suggest that interlaminar communication within human temporal neocortex and local laminar excitability are linked to one another through a dependence mediated by theta oscillations. More generally, our results provide evidence for the hypothesis that theta oscillations may coordinate inter-areal excitability in the human brain. Despite significant underutilization of surgical treatment for drug-resistant epilepsy, no studies have quantified patient desire for surgery within a representative population. The main objective was to determine desire for surgery in a sample with a high proportion of potential candidates to characterize patient-related barriers to the treatment. Secondary objectives included assessing clinical predictors of attitudes toward surgery and evaluating the impact of passive knowledge translation on desire for surgery. Brain circuitry processes information by rapidly and selectively engaging functional neuronal networks. The dynamic formation of networks is often evident in rhythmically synchronized neuronal activity and tightly correlates with perceptual, cognitive and motor performances. But how synchronized neuronal activity contributes to network formation and how it relates to the computation of behaviorally relevant information has remained difficult to discern. Here we structure recent empirical advances that link synchronized activity to the activation of so-called dynamic circuit motifs. These motifs explicitly relate (1) synaptic and cellular properties of circuits to (2) identified timescales of rhythmic activation and to (3) canonical circuit computations implemented by rhythmically synchronized circuits. We survey the ubiquitous evidence of specific cell and circuit properties underlying synchronized activity across theta, alpha, beta and gamma frequency bands and show that their activation likely implements gain control, context-dependent gating and state-specific integration of synaptic inputs. This evidence gives rise to the dynamic circuit motifs hypothesis of synchronized activation states, with its core assertion that activation states are linked to uniquely identifiable local circuit structures that are recruited during the formation of functional networks to perform specific computational operations. It is widely held that single cells in anterior cingulate and lateral prefrontal cortex (ACC/PFC) coordinate their activity during attentional processes, although cellular activity that may underlie such coordination across ACC/PFC has not been identified. We thus recorded cells in five ACC/PFC subfields of macaques engaged in a selective attention task, characterized those spiking events that indexed attention, and identified how spiking of distinct cell populations synchronized between brain areas. Electrophysiological oscillations are thought to create temporal windows of communication between brain regions. We show here that human cortical slices maintained in vitro can generate oscillations similar to those observed in vivo. We have characterized these oscillations using local field potential and whole-cell recordings obtained from neocortical slices acquired during epilepsy surgery. We confirmed that such neocortical slices maintain the necessary cellular and circuitry components, and in particular inhibitory mechanisms, to manifest oscillatory activity when exposed to glutamatergic and cholinergic agonists. The generation of oscillations was dependent on intact synaptic activity and muscarinic receptors. Such oscillations differed in electrographic and pharmacological properties from epileptiform activity. Two types of activity, theta oscillations and high gamma activity, uniquely characterized this model-activity not typically observed in animal cortical slices. We observed theta oscillations to be synchronous across cortical laminae suggesting a novel role of theta as a substrate for interlaminar communication. As well, we observed cross-frequency coupling (CFC) between theta phase and high gamma amplitude similar to that observed in vivo. The high gamma "bursts" generated by such CFC varied in their frequency content, suggesting that this variability may underlie the broadband nature of high gamma activity. Visual exploration in primates depends on saccadic eye movements (SEMs) that cause alternations of neural suppression and enhancement. This modulation extends beyond retinotopic areas, and is thought to facilitate perception; yet saccades may also influence brain regions critical for forming memories of these exploratory episodes. The hippocampus, for example, shows oscillatory activity that is generally associated with encoding of information. Whether or how hippocampal oscillations are influenced by eye movements is unknown. We recorded the neural activity in the human and macaque hippocampus during visual scene search. Across species, SEMs were associated with a time-limited alignment of a low-frequency (3-8 Hz) rhythm. The phase alignment depended on the task and not only on eye movements per se, and the frequency band was not a direct consequence of saccade rate. Hippocampal theta-frequency oscillations are produced by other mammals during repetitive exploratory behaviors, including whisking, sniffing, echolocation, and locomotion. The present results may reflect a similar yet distinct primate homologue supporting active perception during exploration.